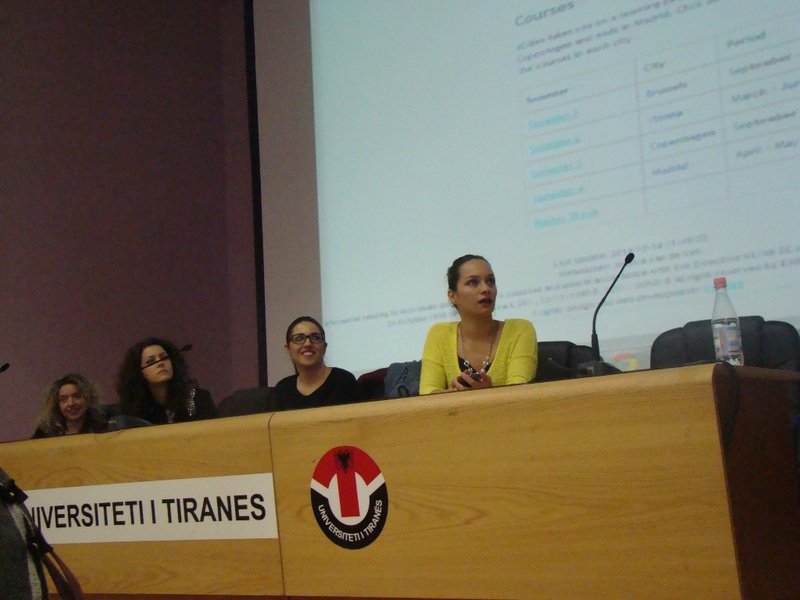 A second information day “Let’s talk about Erasmus+” was organized by the Albanian Erasmus+ Office in cooperation with the University of Tirana on the 27-th of October 2014, at Godina Liria, at Qyteti Studenti. 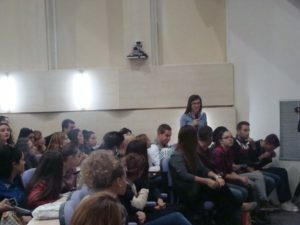 This event was focused mainly on the Erasmus+ opportunities for students such as: Credit Mobility, Degree mobility, Erasmus Mundus exchanges and Mobility Strand in the Capacity building projects. 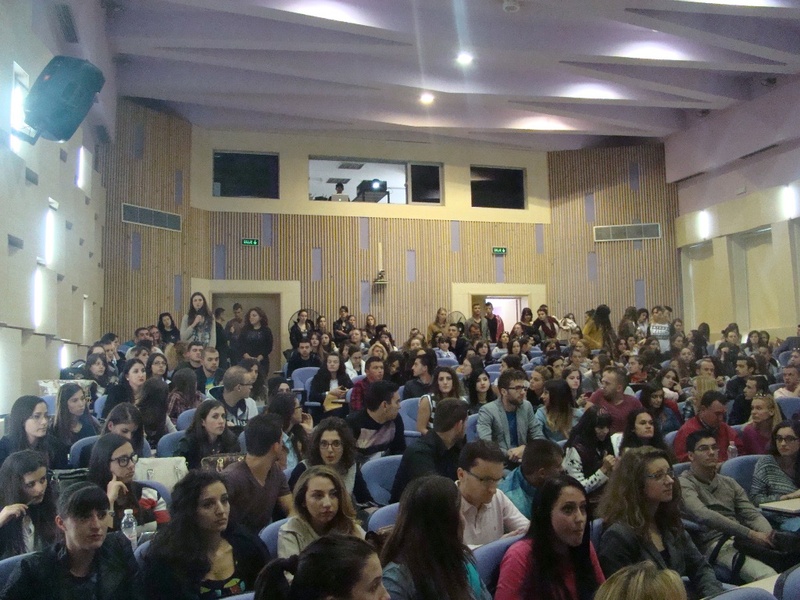 This event attracted more than 200 students from various Albanian universities. The National Erasmus+ Office in Albania held an information day at the EU Information Center on 24-th of October 2014. The informal meeting was aimed at advising students about the opportunities available to them through the Erasmus+ programme, such as scholarships for Joint Master Degrees and short-term exchange programmes. 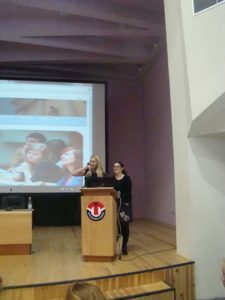 Mrs Edit Dibra, Head of the National Erasmus+ Office, gave an overview of the different programme benefits for Albanian students wanting to study abroad, and also walked them through the process of applying for a number of degrees. This was the first of a series of planned meetings initiated by the National Erasmus+ Office and it attracted a great turn-out, with more than 80 students attending. Erasmus+ is the EU’s programme for education, training, youth and sport for 2014-2020. Aiming to boost the skills and employability of European citizens, the programme provides opportunities for millions of Europeans to study, train, gain work experience and volunteer abroad. 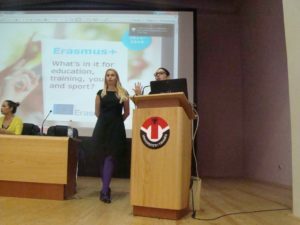 Erasmus+ also supports actions such as academic staff exchanges, cooperation and capacity-building in higher education and the youth sector worldwide, and grassroots sports projects. 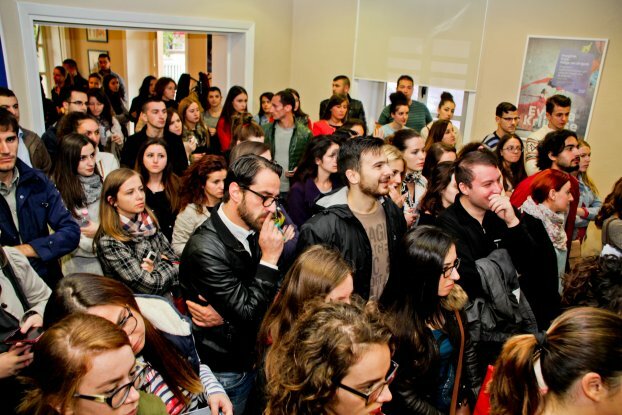 Albanian Erasmus+ Office in cooperation with the University of Tirana are organizing on the 27-th of October 2014, at 12.00 o’clock, the Info Day for students called “Let’s talk about Erasmus+”. 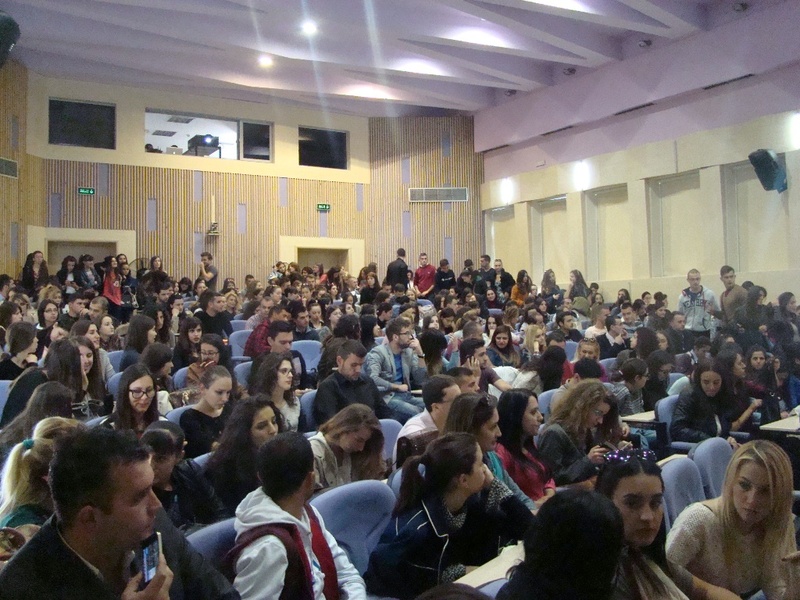 The location is Salla Liria, at Qyteti Studenti. This event will be focused mainly on the Erasmus+ opportunities for students such as: Credit Mobility, Degree mobility, Erasmus Mundus exchanges and Mobility Strand in the Capacity building projects. Please forward this invitation to the interested persons. We very pleased to welcome you in our event. Albanian Erasmus+ Office in cooperation with the EU Info Center in Tirana are organizing on the 24-th of October 2014, at 13.00 o’clock, the Info Day for students called “Erasmus+ coffee”. 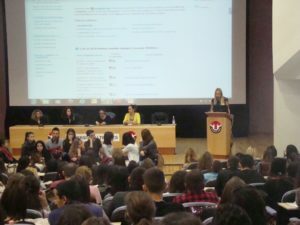 The location is EU Info Centre, Rruga Ismail Qemali Tirana. 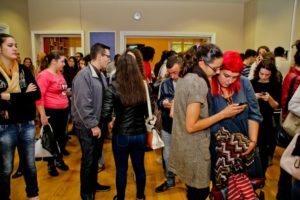 This event will be focused mainly on the Erasmus+ opportunities for students such as: Credit Mobility, Degree mobility, Erasmus Mundus exchanges and Mobility Strand in the Capacity building projects. We are very pleased to welcome you in our event. 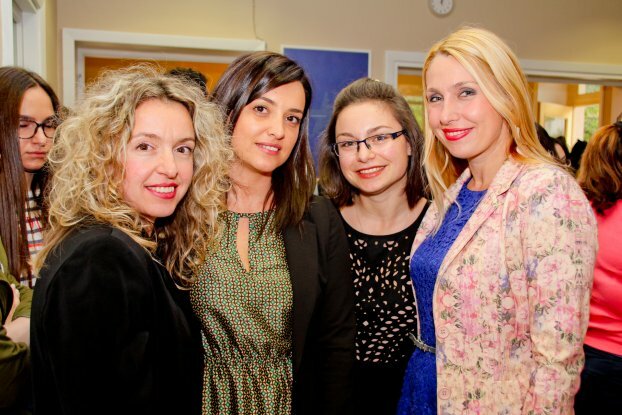 The European Commission applies a policy of equal opportunities. 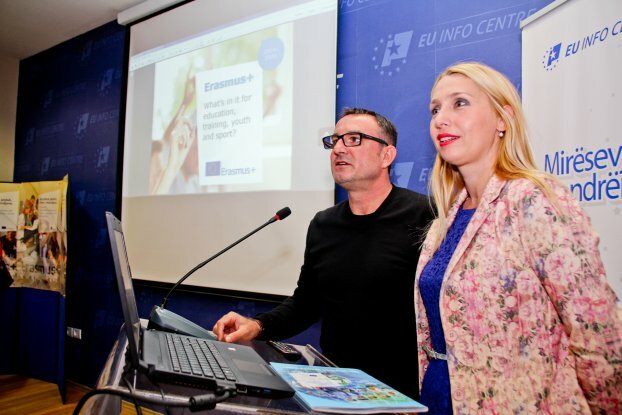 Erasmus+ is the new European Union programme that supports projects, partnerships, mobility and dialogue in education, training, youth and sport for the period 2014-2020. 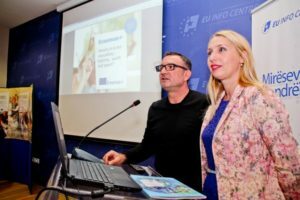 Built on the experience and success of existing programmes, it aims at boosting skills and employability, as well as modernising Education, Training, and Youth work in the EU and in its partner countries all over the world. 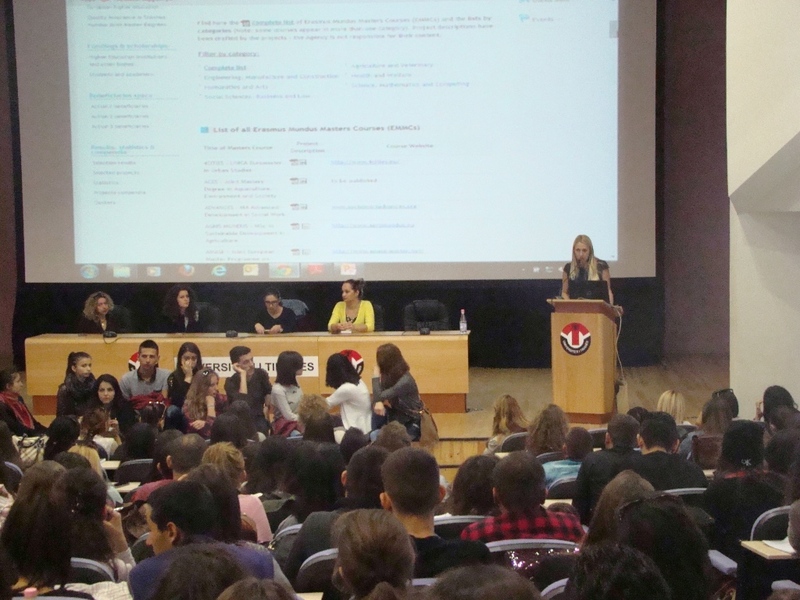 Erasmus+ includes a strong international dimension notably in the fields of higher education and youth. 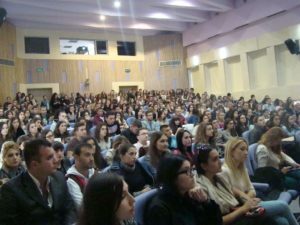 The Erasmus+ Programme is managed by the European Commission with the support of its Executive Agency (EACEA) in Brussels. 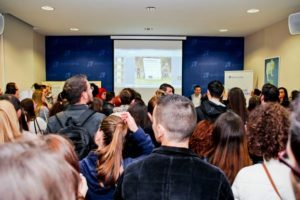 The National Erasmus+ Offices (NEO) assists the Commission, the EACEA and the Partner Country authorities concerned in the implementation of the Erasmus+ Programme. The mandate of the Erasmus+ Office in Albania covers all supporting, promotion, monitoring and dissemination activities related to the international dimension of Erasmus+ activities in higher education (in Key Actions 1, 2 and 3). 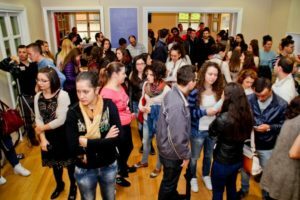 Support to the provision of advice to potential applicants at local level interested to apply for Erasmus+ in the field of higher education; provide assistance to find partners. Support to the consultation procedures during the selection process for Erasmus+ Key Action 2 – Capacity Building in Higher Education. 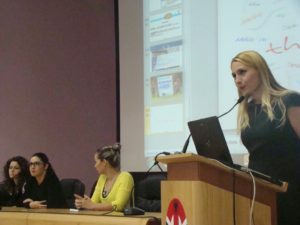 Assist grant holders and partners in project follow-up and for grant agreements requirements; help in follow-up and monitoring of on-going projects in Albania; follow-up the sustainability of completed projects; support the dissemination of project results. 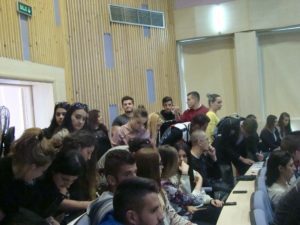 Support in follow up of higher education issues: briefing papers and notes, as well as reports on the implementation and progress of projects in which the higher education institutions in Albania are involved. 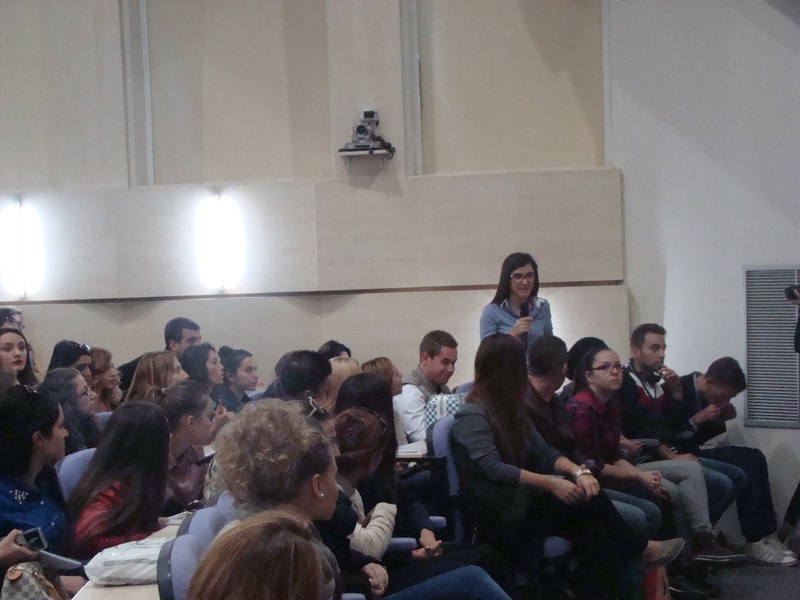 Support the activities of the Erasmus+ Higher Education Reform Experts (HEREs). Work in full respect of the NEO Code of Conduct; respect the rules and procedures for the functioning of the office; support in drafting NEO implementation reports. High experience required in communication (drafting/writing reports, presenting programme objectives and results, etc.). Excellent English language skills (oral and written). (English language certificates must be provided. In addition, a part of the interview will be carried out in English). 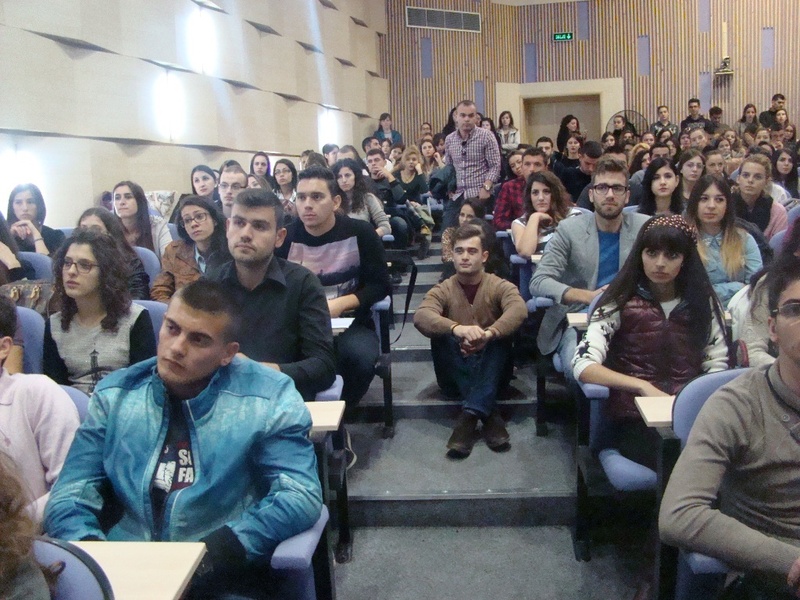 Readiness to travel extensively both inside and occasionally outside Albania. An acknowledgement of receipt will be sent to each applicant. 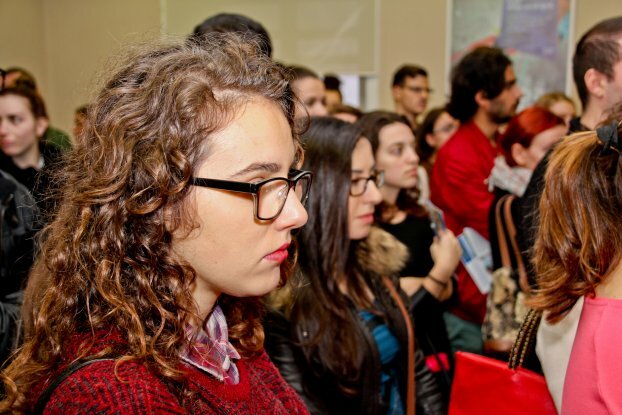 In a second stage, a second acknowledgement for the interviews will be sent only to the short-listed applicants. 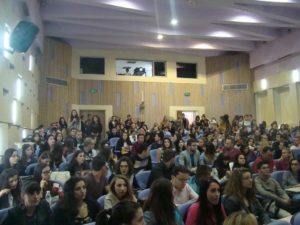 The selection procedure will be carried out in cooperation with the Education, Audiovisual and Culture Executive Agency in Brussels.